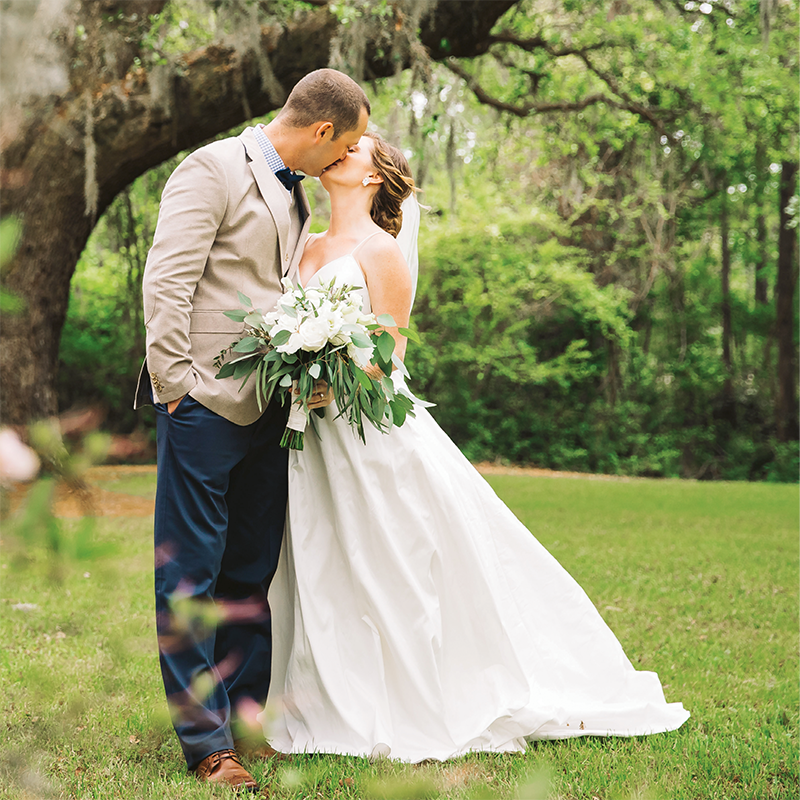 After growing up together in New Fairfield, Connecticut, Valerie and TJ reconnected in 2014, when she was living in Charleston and he in Fort Myers, Florida. They dated long distance for a year before Valerie relocated to Florida, and eventually, the pair decided to return to the Lowcountry. Days before the big move, TJ proposed during a walk on the beach at sunset, and in April, they wed under an oak tree at Wingate Plantation on John’s Island. Though a tornado warning and 60-mph winds threatened the outdoor reception, the storm soon passed, and the duo and their guests resumed celebrating under the tent. The couple now lives in Mount Pleasant.